Greatest impact can be achieved when all driving factors in your business are aligned and firing on all cylinders. The Repurposing Business Intensive begins by focusing on your business purpose. Clearly articulating the Company purpose and direction is essential. From there, other drivers of business impact will be identified and systematically aligned to your purpose. You will gain the knowledge, tools and resources to align every aspect your business with your purpose. You will leave refreshed, challenged, encouraged and equipped to pursue your business purpose and expand your sphere of influence. The first Intensive was held in Saratoga, California in 2012. Participants came from Bali, New York City, Cairo, London and California. Some of the participants from the 5th Intensive, held in Paarl, Western Cape, South Africa. 2016. Participants came from South Africa and Nigeria. 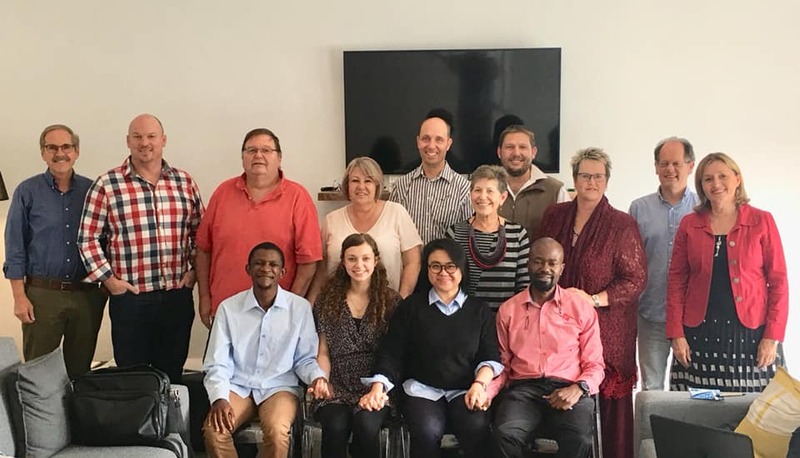 The March 2017 Intensive was held in Paarl, South Africa. Participants came from South Africa and the USA. It was the sixth Intensive. Participants from one company made up the seventh Intensive in July 2017 in Cape Town. The second Intensive: also held in Saratoga, California in 2013. Participants came from Washington State, Tennessee, Toronto Canada, Cairo, Nigeria and California. The third Intensive: Saratoga, CA, 2014. Execs came from Oregon state, Chicago, Taiwan and California. The fourth Intensive was held in Portland, Oregon. Participants were from the USA and India. The next rēp Executive Intensive will be in the greater Cape Town area, South Africa from October 5th - October 11th, 2019. If you wish to express interest please fill out the "Request for an Application" below. "The Rep Intensive was truly remarkable... Not only did I leave with greater clarity and vision for my organization but with a perspective change that will forever change the way I approach my business. Lyn, Brett and the rest of the rēp staff have an incredible ability to create instant, yet authentic community. I feel honored to be a part of the rēp community and to have shared the experience with the other Intensive participants, who were also remarkable people... I've been to a ton of conferences, retreats, trainings etc. but this will forever stand out as ‘Above the rest...far above." —A participant from New York City, New York, USA who is the Executive Director of an organization that offers an innovative, individually tailored immersion program to bridge the materially rich and poor to impact poverty. "YES I LOVED IT, it came exactly the time I needed it. I am sharing with lots of business people about it and they said this is urgently needed in Egypt!" —A participant from Cairo, Egypt who had built a non-profit that was touching over 1 million youth each year. He has resigned to start a "kingdom business." "My husband and I just attended the first rēp Executive Intensive. It is hard to put into words what we experienced...life changing, paradigm shifting, new friendships, fantastic food and fun! Brett, Lyn and everyone on the rēp team display the ultimate in hospitality. An exceptional experience in every way!" —A couple from Morgan Hill, California, USA who are building a life-giving direct sales business. "The Intensive for me was such an eye opening experience… The difference between worldly views versus holistic views can already be a lot to take in. But the Intensive takes it to the next level and talks about Eternal Principles, which make perfect sense once you have digested some of the principles and understood how they can be applied to our daily lives... The Intensive was a such paradigm shift for me!" —A participant from Bali, Indonesia who is the Director of one of the largest and highly acclaimed event venues in Bali. "I'm constantly looking to educate myself and improve my performance and the performance of my companies. The Rep executive training gave me breakthroughs in my business that I was striving to achieve for years. Since I attended the Rep executive training my focus, impact and measurable results significantly increased. I started several new businesses and revamped my old business." —a participant from London, United Kingdom who is a Technology Entrepreneur, Investor and consultant to some of the world's largest Financial Institutes. There is a potential rēp Executive Intensive event in the Cape Town area. If you wish to express interest please contact carlaf@inst.net or apply now online. We will then contact you directly with location details. Once your application has been accepted, there are a payment options available to you. For non-SA guests, the cost of the rēp Executive Intensive is $3,500. This includes airport pick-up and drop-off, meals and materials. Accommodation at a local hotel or B&B is for your own expense, and we can provide recommendations.